I don’t understand Swedish, the language. I can’t even write them, but thanks to Google Translate, I’ve got this site translated and especially this post, which is having a give away!!! Yay!!! It might look just a little bit of stuff, no!! It is actually a lot!! Yummy goodies! 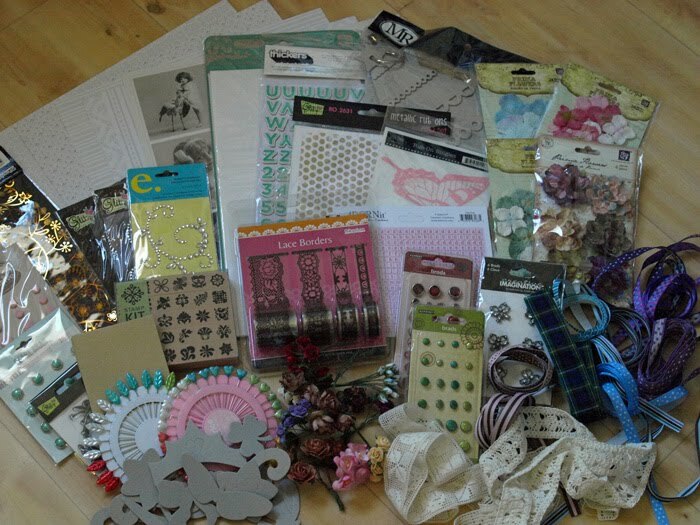 Head on over to Little Flower Creates and you might just win what Little Flower is offering! Everyone love a give away, right? So, what are you waiting for? Go to her post here. Thanks for the link!! I don’t understand it either… and my great grandmother was from Sweden!